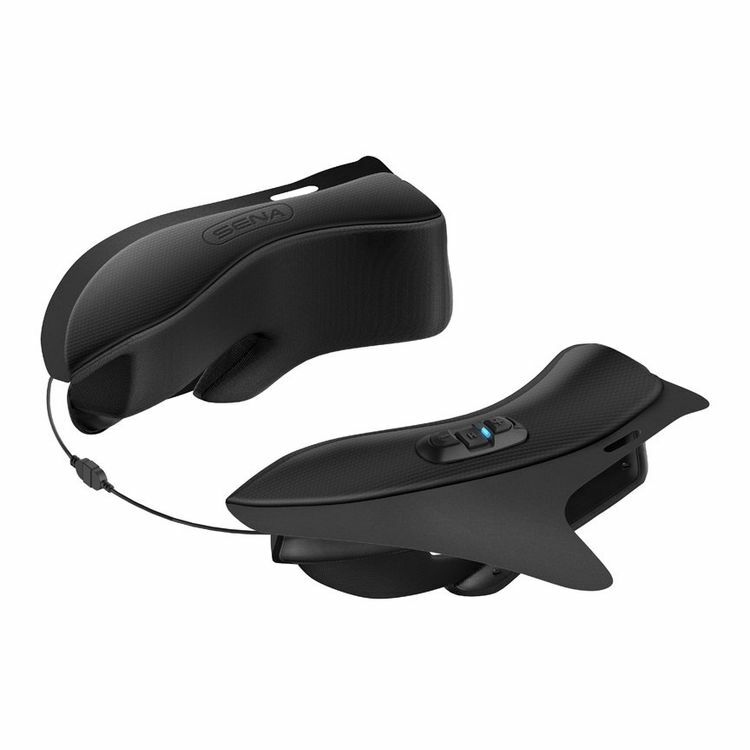 The Sena 10Upad discreetly packs all the functionality of a side mount Bluetooth communicator into the cheekpads of HJC IS-Max 2 series helmets. This plug-and-play solution only requires a single connection that links the left and right sides together. Gone are the days of adhering hook and loop fastener strips, routing wires and wrestling with clamping mechanisms. The speakers, microphone, battery and related electronics are all contained within the cheek pads themselves. The components are acoustically optimized for exceptional audio clarity. There's only a slim three button interface that lives under the left (clutch) side of the helmet and this keypad is barely visible to the outside world. The Sena 10U series features four-way intercom communication up to 1/2 mile in open terrain with Universal Intercom and Group Intercom technology, as well as intuitive voice prompts and voice commands. Additional key features include music sharing, built-in FM radio tuner, Advanced Noise Control, up to 10 hours talk time, and an exclusive smartphone app for iPhone and Android all while being firmware upgradeable.